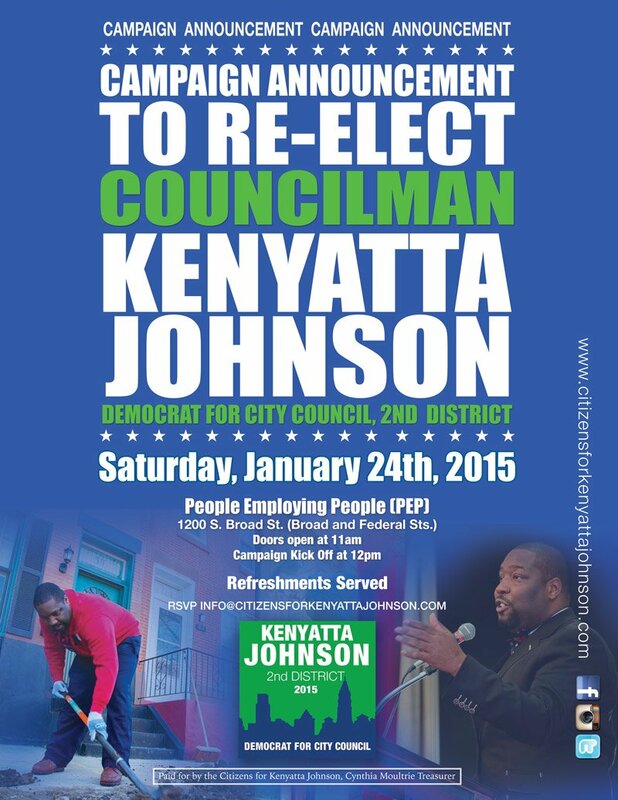 LPMG Companies would like to invite you to Councilman Kenyatta Johnson’s campaign kick-off event this Saturday, January 24 at 12:00 pm at People Employing People at Broad and Federal. There’s no need to recite all the grim statistics; 2014 will be remembered as The Lost Year in Atlantic City, when four casinos closed, hurtling the resort into a financial crisis that officials are still grappling with. But as we enter 2015, let’s not forget a fundamental truth: When it comes to casinos and tourism, Atlantic City remains a force to be reckoned with. Let’s not forget that this city alone generates more casino revenue, by far, than nearly every state in the nation. Let’s not forget that 4 million to 5 million people take trips to Atlantic City every year — the type of big-league visitorship that most beach resorts can only dream of. And let’s not forget that there’s great potential for Atlantic City beyond the slots and table games. As you’ll see below, in 2015, that’s something smart people with deep pockets are betting on. Morris Guards Armory, the storied military social club, will become middle-market millennial housing in 2015, says Philadelphia-based developer LPMG Companies. The New York Avenue building, which boasts some of the finest brickwork in the city, is slated for a $3 million overhaul in 2015.